After Floyd Mayweather attempted to extend an olive branch to Conor McGregor, the “Notorious” fighter decided to blast the undefeated boxer. 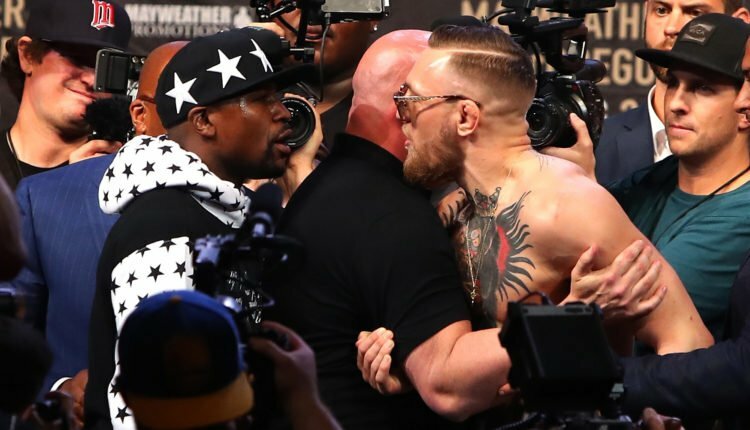 Earlier this week, Mayweather made a public offer to McGregor to train at his Mayweather boxing gym in Las Vegas, while the Irish superstar prepared to face Nurmagomedov for the UFC lightweight title at UFC 229. On Tuesday night, McGregor would take to Twitter and levy a shot towards his old rival, Mayweather. “F**k the Mayweathers,” McGregor wrote on the social media platform. While he seemed to point the insult at Floyd Jr, he made sure to show respect to Floyd Mayweather Sr, and the undefeated boxer’s uncle, Roger. In a measure of revenge, Mayweather would post a tweet as well on Tuesday night, which proclaimed his 10th round TKO 2017 win over McGregor to be the “easiest” nine figures the boxer ever made.